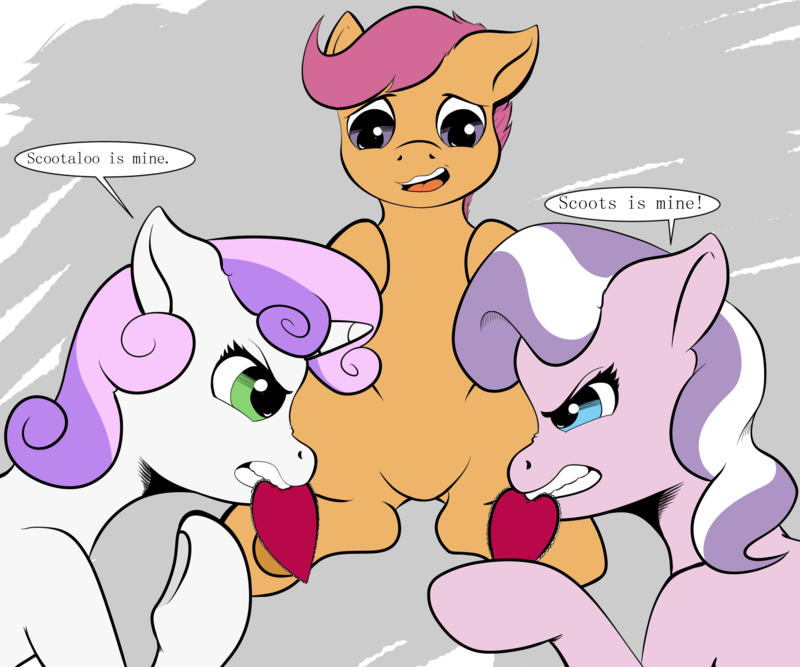 Scoots is a bit too popular with the fillies it seems. Calm down you two, why don't you both give her your valentine's cards? Though Scoot probably has a closet full of those from before.